So the Shibuya re-development in Tokyo continues. I've lived in Japan over twenty years and cannot, for the life of me, remember a time when there wasn't redevelopment around the station, home to three million commuters every working day of the year. 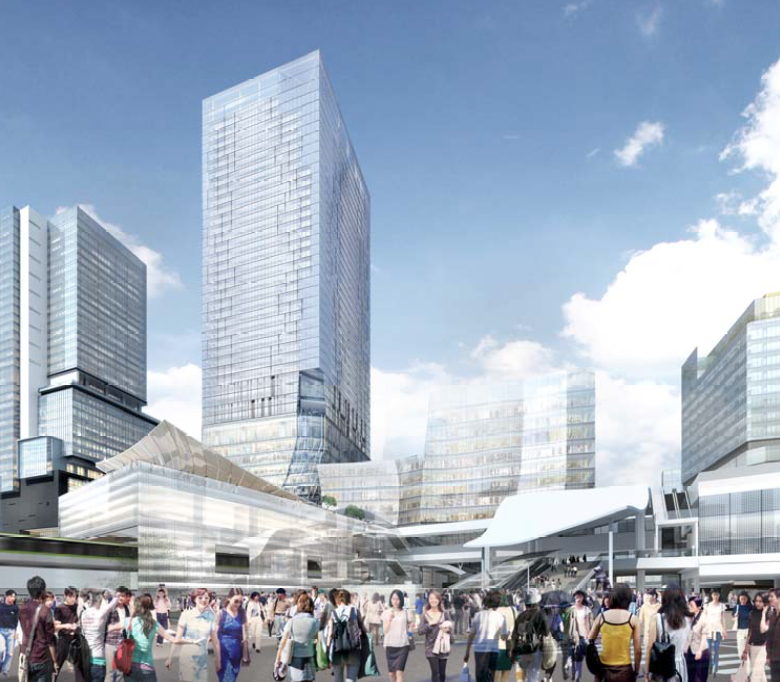 In 2014 the main station building and the attached department store were closed and torn down and on March 22, 2015, it was the turn of the Tokyu (not a typo) Plaza, a positive warren of disconnected 1965 stores and restaurants. This round of development was kicked off in the early 2000s when the Tokyo Metropolitan Government decided the area was desperately in need of a lick of paint. By co-incidence the early phases are set to be complete by 2020, I'm sure in time for the Olympics, to be held that autumn. The principle is to replace inefficient low rise buildings with sparkling new skyscrapers that will attract international business. An uptick in English wouldn't hurt that objective either. When complete the area will, in principle, provide a coherent interconnection between station and stores. The first go at this, the relocation of a number of train lines to the new Hikarie building, was heralded as an outstanding success by the planners, and equally by the general derision from the commuters who actually need to transfer on a daily basis with long connections and deep, dark stairwells. The images though have to be said to look stunning. Farewell Tokyu Plaza, hello the Phoenix. West exit of the new Shibuya Station. Environmentally friendly and easy to navigate.